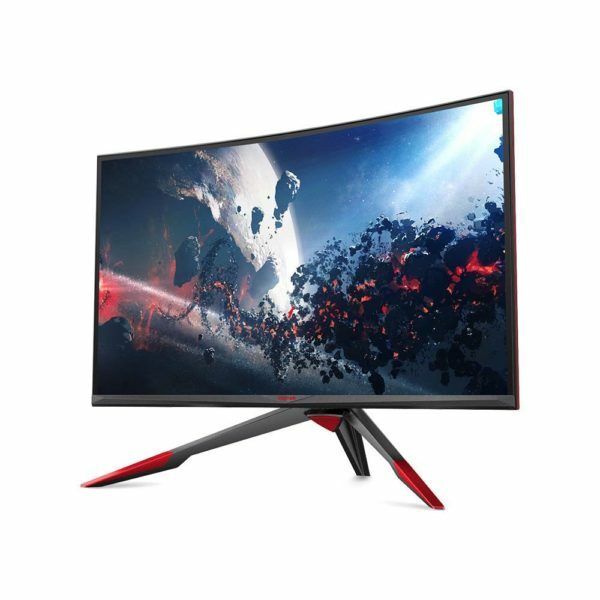 From the most popular FPS to classic RPGs, experience QHD immersion in extra-large 32” display with VIOTEK’s GN32LD Curved Computer Monitor. 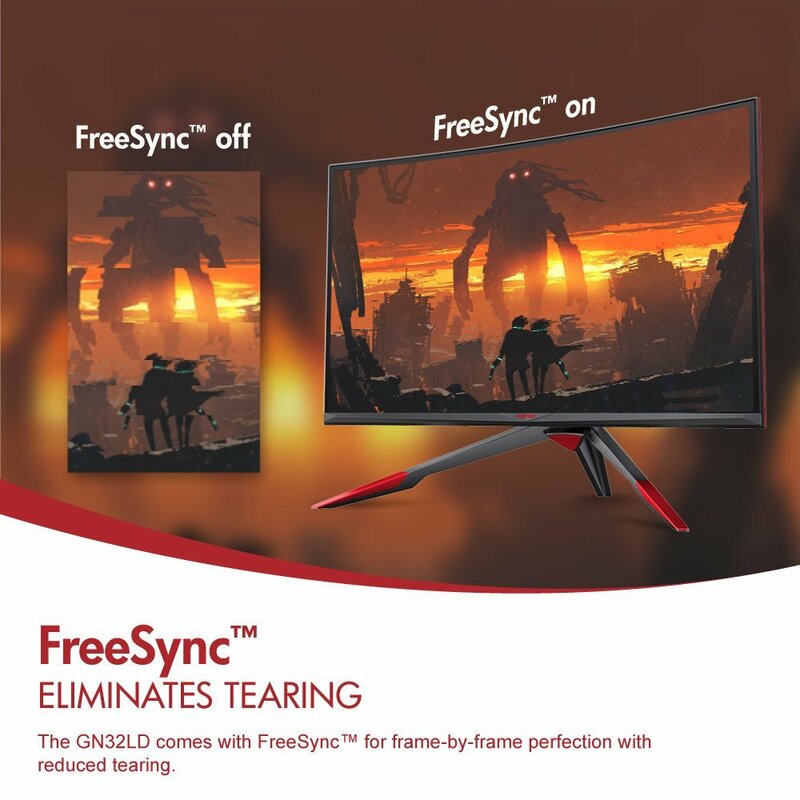 Featuring FreeSync and Overdrive, the 32 inch curved gaming monitor will deliver a gamer’s paradise free from tearing and ghosting. Players all around can game, grind, and level up without interference! The 16:09 widescreen boasts an ultra-thin frame and 1800R curve for improved viewability from multiple angles. To enjoy show-stopping picture quality, load your game in 2560 x 1440p resolution at 144Hz refresh rate. Each new environment and character will be vibrantly bold with 16.7 million colors and 5,000,000:1 DCR. With five preset settings, this PC monitor easily converts from gaming to movies to work in seconds! You can even mount the VESA compatible 32 inch monitor on your wall for movie nights with your family or game marathons with your team. 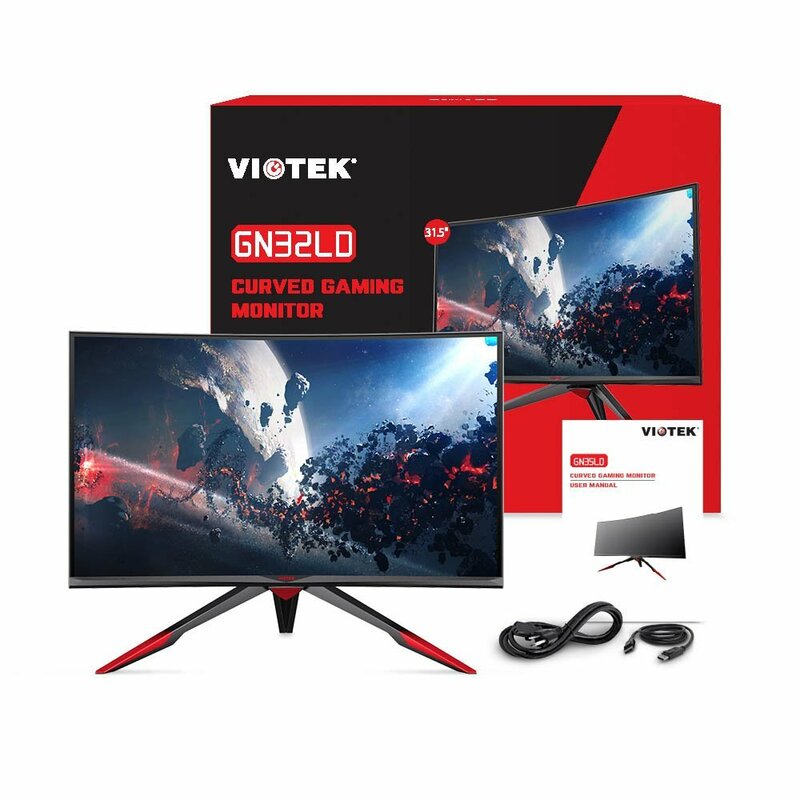 Upgrade your rig with VIOTEK’s GN32LD 32 inch Curved Monitor. 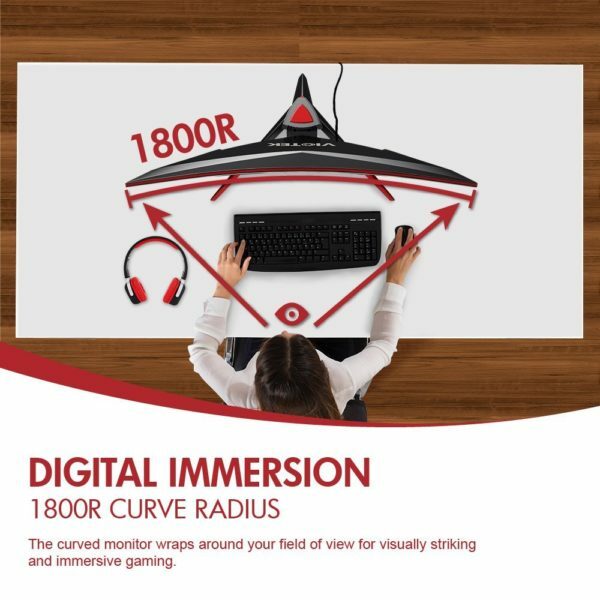 Aim and shoot without unnecessary delays with the curved monitor’s crosshairs function. By increasing precision and accuracy, you can improve your FPS kill score, learn spell casting with your mage, or master hip fire! 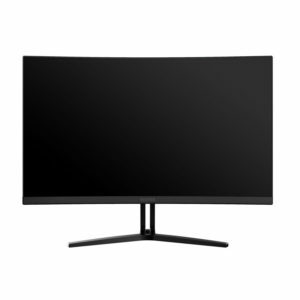 Activate the PBP function to multi-task effortlessly. 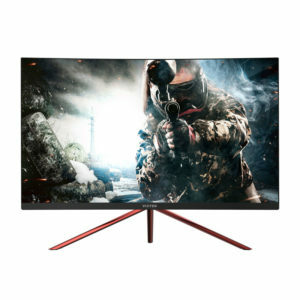 You’ll be able to stream live while playing your favorite FPS, RTS, or RPG. Non-gamers can even chat with friends, surf the net, or do homework all at once! VIOTEK has taken extra precautions to protect and save your eyes from damage and fatigue. Blue light reaches far into your eyes and damages your retina. 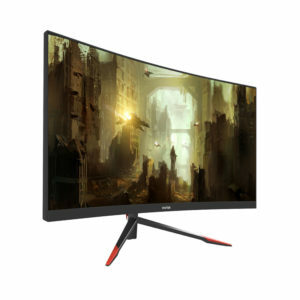 With the curved PC monitor’s low blue light feature and anti-glare screen, you can have game marathons while keeping your eyes healthier longer. 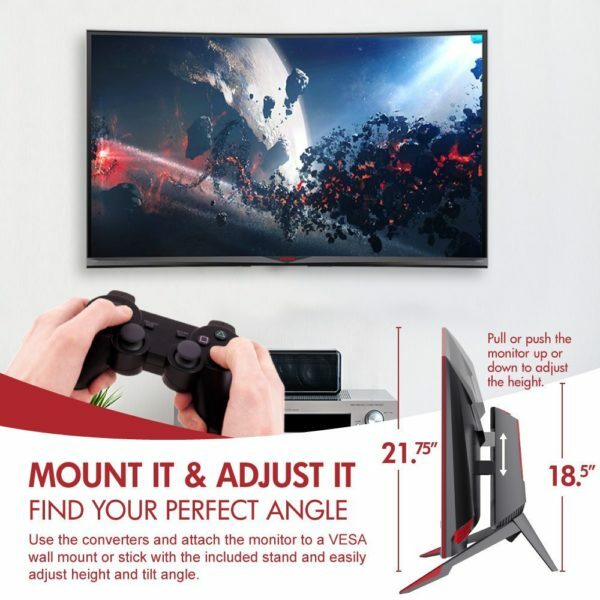 Turn on the 32 monitor’s LED light effects and game in style! There are three bonus settings that allow you to control color, brightness, and display, so you can choose, adjust, and personalize as much as you want! 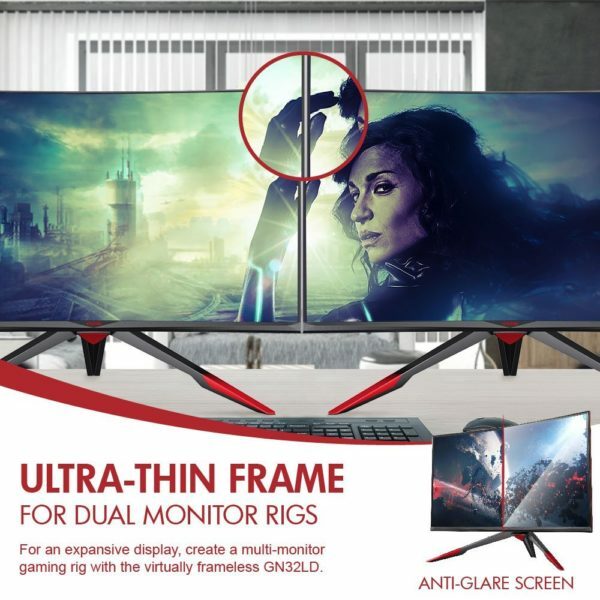 The 16:9 curved monitor comes with DVI, HDMI, and display ports for all the connectivity options you need to set up and play with your ideal rig.